During recovery or in old age, most families opt to get the services of a Home Care Company in La Mesa California for assistance. Through their services, loved ones can stay at home while receiving appropriate support. When taking advantage of these services, communication is definitely crucial. Here are tips to communicate effectively with a care provider. Inform them about your specific needs. If you have a certain medical condition, you surely have a specific set of needs that should be fulfilled. Your doctor may know it. You and your family may know it. But, your care professionals might not be familiar with these needs. So, informing them about your unique needs should be the first thing to do. Agree for an initial meeting so you can discuss about your needs. Check with the professionals if they are capable of providing the required services to you. You also need to establish a set of rules for the care professionals who will take care of you. Remember, they will be going to your home, staying for a few hours, to assist you. They should know what time you wake up or which areas of the house are off-limits to them. These rules should have already been established and clarified at the beginning. Such rules will help ensure a harmonious patient-caregiver relationship and minimize, if not eliminate, misunderstandings. As a patient, you need to know what services or what type of assistance your care providers are capable of. You also need to clarify certain terms of the services, if there are any. In this case, it is always best to ask questions directly and seek answers from your provider. When asking questions, make sure that you give them enough time to respond to you. Verify the information provided and make sure you understand things clearly. It is normal for anyone taking advantage of home care services to feel a certain level of awkwardness or discomfort, especially when they are receiving care from someone who is technically a stranger to them. But, it won’t help if you keep your feelings to yourself. Talk to your provider about your issues. Be open about your feelings. This way, they can also address the situation and find the best approach to help you out. Of course, your care providers want to know how satisfied you are with their care or if they are meeting your needs. Providing feedback can help them evaluate their services and improve them, if necessary. 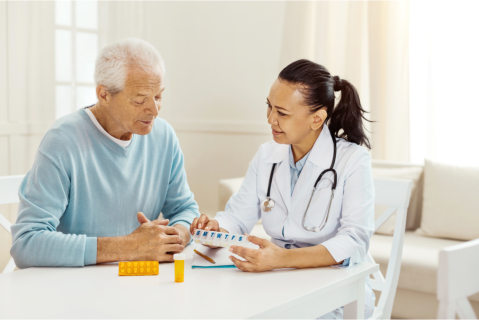 At Sunshine Home Health Aide Org., Inc., you can take advantage of a wide range of home care services that you need while recovering or in your old age. We’ll be happy to discuss your situation with you, so get in touch with us today.